BMW is having a hard time figuring out our electro-autonomous future. After making a splash there early on with the i3 and i8, its alternative energy offerings have languished. Now the company has to adapt in a way that could mean losing the whole “driver’s car” thing. Either way, BMW and its Mini subsidiary are apparently rethinking things at the moment. 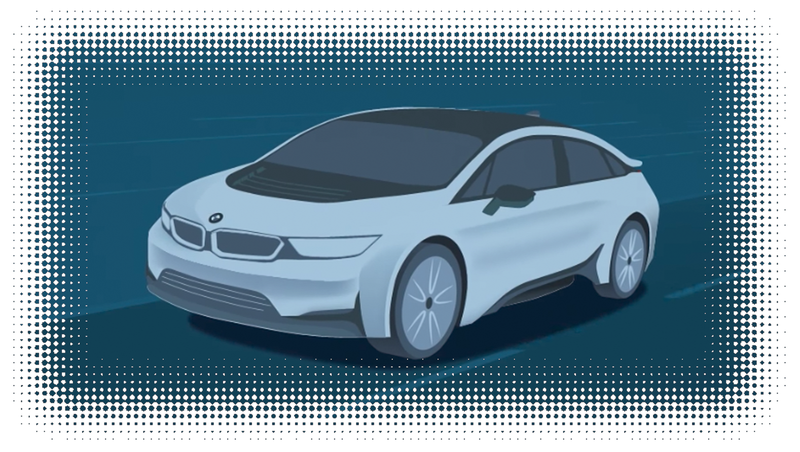 This report comes to us from the well-connected Georg Kacher over at Automobile, who declares that the long-rumored BMW i5 sedan/MPV/crossover thing is finally dead. The i5, which would have been the third member of the electrified i family, was thought to debut at the Frankfurt Motor Show last year. That didn’t happen. This isn’t entirely surprising news—reports of the i5’s demise came way before the Frankfurt show, as early as last spring. And the i3 and i8 cars haven’t exactly set the world on fire. While innovative and interesting in the way they use electrification and things like recycled materials, the former car has a serious range problem that makes it uncompetitive in the U.S. and the latter is pretty handily outclassed by other performance cars, namely the hybrid Acura NSX these days. Despite new i concepts coming out, we’ve heard these days that the sub-brand is pivoting to focus on autonomous cars, not electrics. So the i brand has some soul-searching to do. That much is clear. Apparently so does Mini, BMW’s small car brand since the late 1990s when it bought it off the British in a fire sale. Kacher says the platform development for Mini’s small cars is getting mighty expensive, so now that a proposed tie-up with Toyota is apparently dead—and I forgot all about that one!—they’re now looking to partner with China’s Great Wall instead. And then there’s Mini. After talks with Toyota on co-development of a new small car platform that could underpin the next-gen Mini foundered, and Munich bean counters concluded using the in-house FAAR front-drive components set for Mini would have broken the bank, BMW is turning eastwards to save Mini from extinction. It’s a long-term proposal, but the Munich grapevine insists a deal with China’s Great Wall to co-develop an all-new platform for the next generation of Mini products is in the making. In preparation for this new joint venture, BMW intends to add two more years to the life cycle of the current Mini while details are planned and agreed. The first German-Chinese Mini replacement, provisionally known as Metro Runner, is due to see the light in 2023. This is the first we’re hearing of this, but it makes sense. It may even help explain the somewhat tepid updates we got to Mini’s bread-and-butter Cooper models at the Detroit Auto Show this year. At the Detroit show this year, I spoke to Randy Clements, the Department Head for Product Planning and Aftersales for Mini USA, and not surprisingly, he doesn’t see it as doom-and-gloom as I do, and he stressed Mini’s value in other markets. “Globally, small cars are still en vogue in many parts of the world,” he said. The trend in the U.S. is for big crossovers and SUVs, but even here, among a certain set of urban buyers, the Mini still makes sense. They’ll have a fully electric Mini in the U.S. by 2019, he said, but while dealers and some customers have asked for it, management hasn’t settled on whether or not to build a bigger Mini crossover or not yet. At any rate, all automakers have a lot to figure out in the years to come, but at the moment BMW especially feels like it’s at a major crossroads—even if today’s offerings happen to be very good, tomorrow may not be as kind to the Ultimate Driving Machine.